A bastion of Egyptian handmade crafts, Oasis Bazaar in Ginowan City, is about to pull up stakes and head for the Middle East. Oasis Bazaar is moving to the Israeli desert the end of this month, and is staging an ‘everything must go’ sale through January 25th. The Oasis Bazaar, which for more than 1 1/2 years has offered Okinawa a unique perspective and competitive prices on Egyptian crafts such as Hookah pipes, blown glass, perfume bottles and papyrus paintings, as well as furniture. Now, the owners say, it’s being offered at incredibly low prices as they clear out the showroom before they move to Israel. 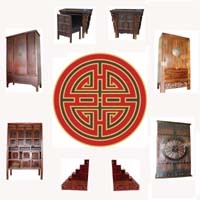 Big Step Tansu’s, about 73” high, are selling for only $399, while other furniture is being liquidated at wholesale prices. Hookah pipes, perfume bottles and papyrus paintings have been discounted 50~70%. Because of the very low prices, Oasis Bazaar is accepting only U.S. dollars or Japanese yen during this closeout sale. Oasis Bazaar, open 11 a.m. ~ 7 p.m., is located on Highway 58 between Camp Foster and MCAS Futenma, opposite the new Harley Davidson shop. Traveling south from Kadena Air Base and CampFoster toward Naha, make a U-turn after Futenma and drive back, looking for the building with the big dog head sttue on top. Parking is available in front of Oasis Bazaar.